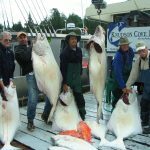 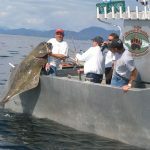 Salmon and Halibut Fishing Charters! 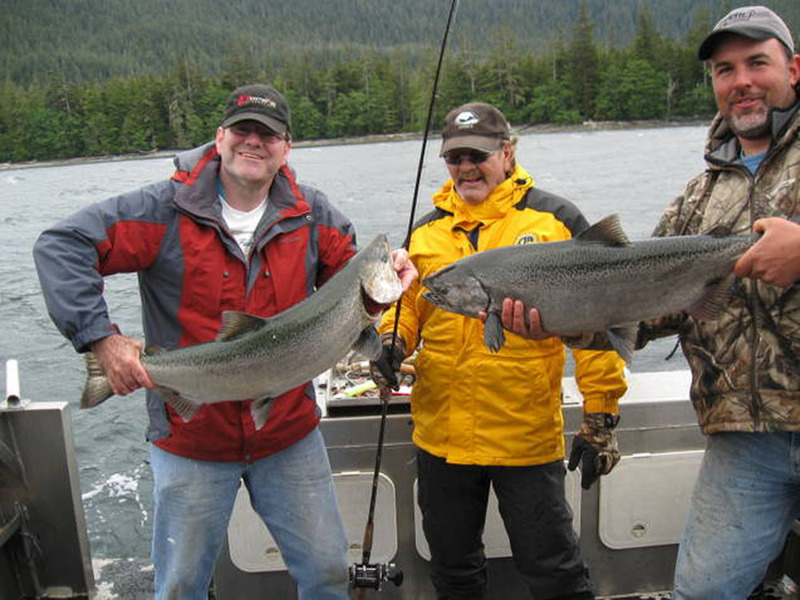 With Daily Trips you can combine your Alaskan visit with a multitude of other In Town Activities. 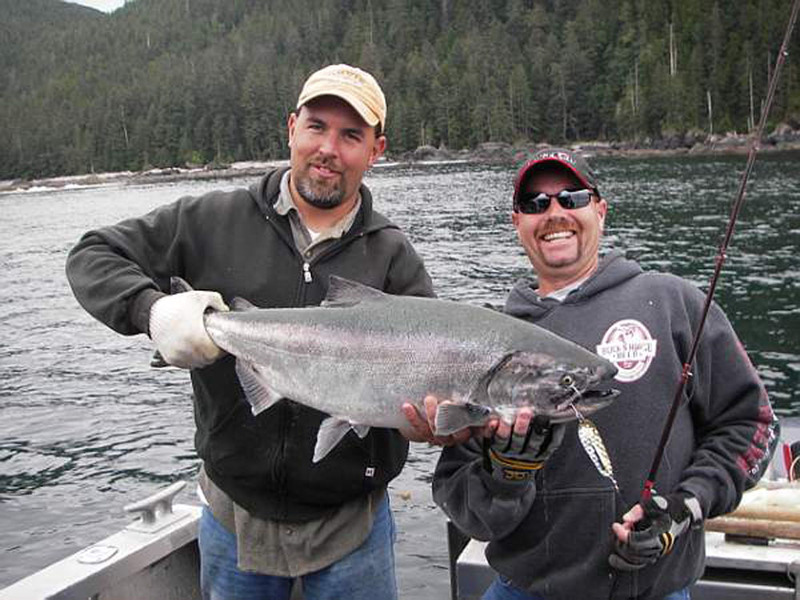 Daily Trips can also be made into custom do-it-yourself packages using lodging with The Sportsman’s Bed & Breakfast. 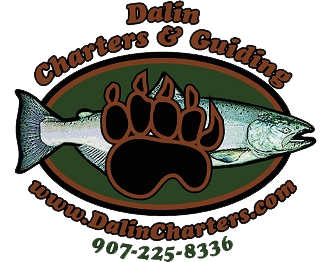 Dalin Charters offers the best saltwater sportfishing Alaska has to offer. 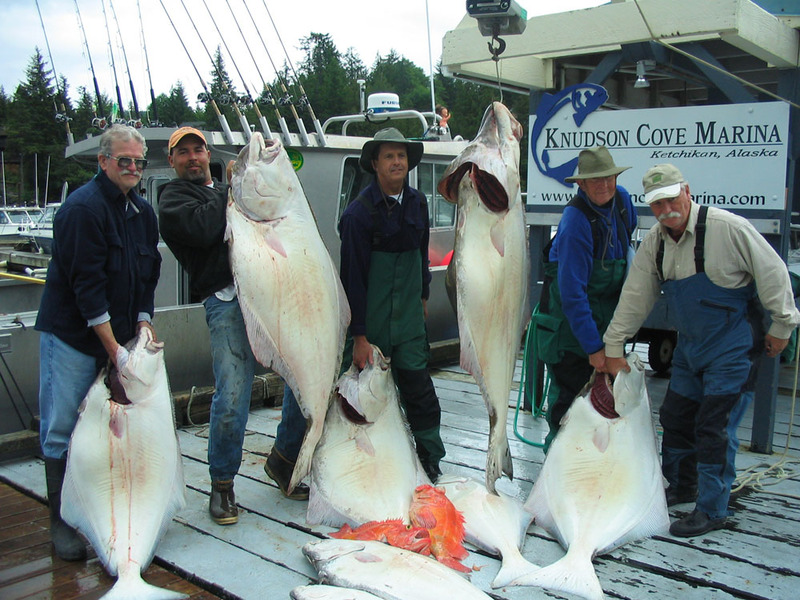 From King Salmon to Silver Salmon, Pacific Halibut to Ling Cod, and many other species of rockfish all are plentiful in area waters. 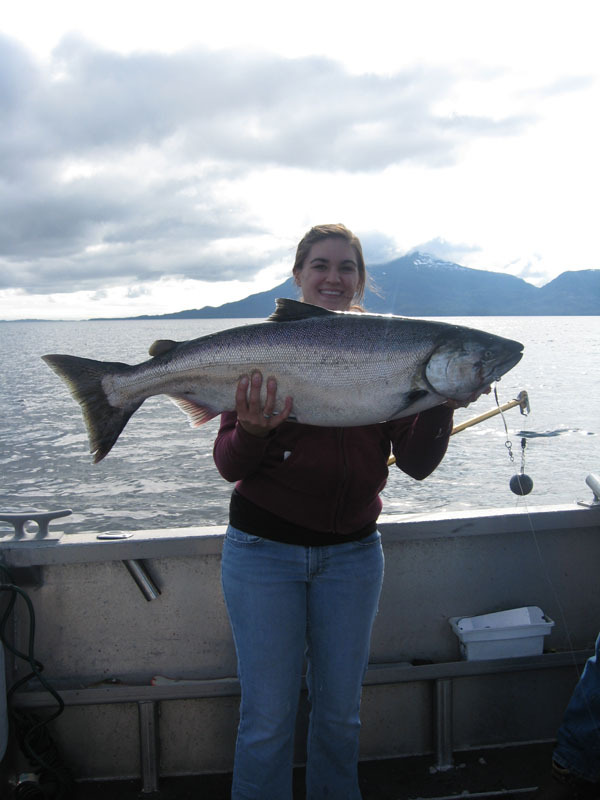 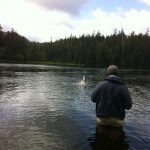 In mid-May large schools of King Salmon start frequenting our waters and fishing for them is at its best through June. 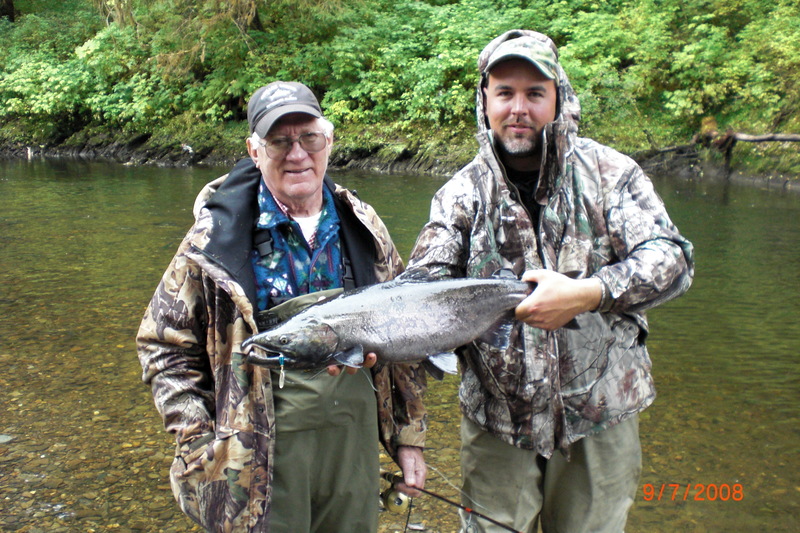 In July Silver, Chum, Pink, and Sockeye flood our waters with large numbers of Silver Salmon remaining into October. 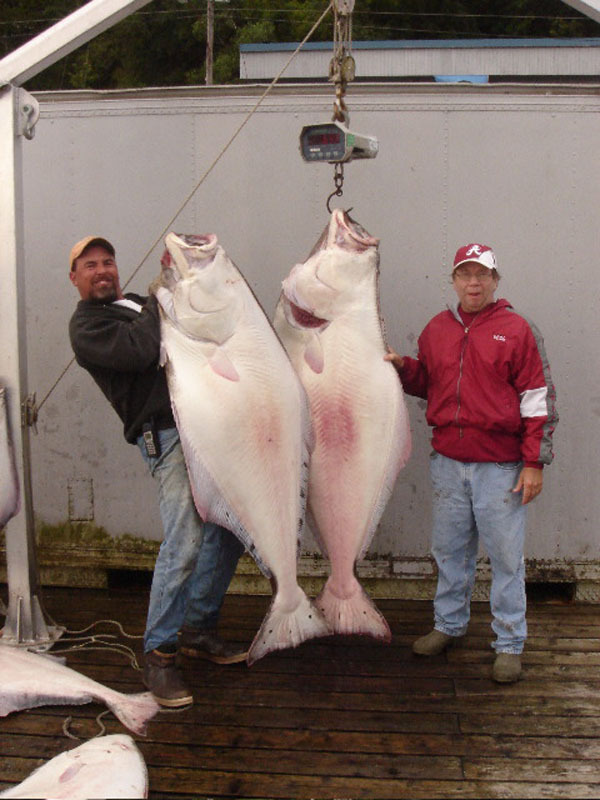 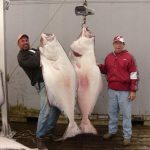 For bottom fish such as halibut, July and August are the optimal fishing months. 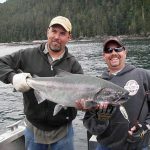 Our vessel the “Victoria Lauren” is a 31′ custom built welded aluminum vessel with 225hp outboards.. Loaded with all the latest navigational instruments, an enclosed cabin, private head, and the finest fishing gear. 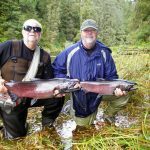 Along with the spectacular fishing, you may have the opportunity to view whales, seals, sea lions, porpoises, deer, bears, wolves, and the ever-present bald eagle. 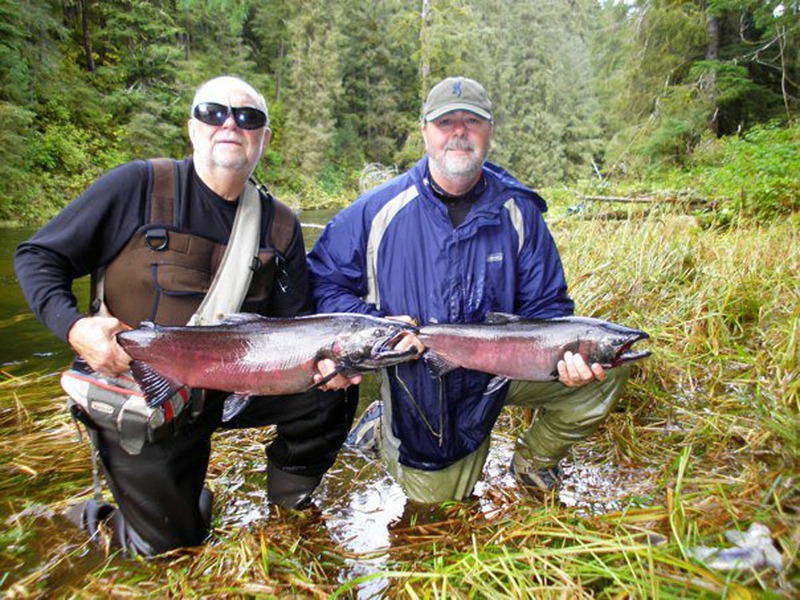 We have trips ranging from 4 hours to week-long deluxe lodge packages. 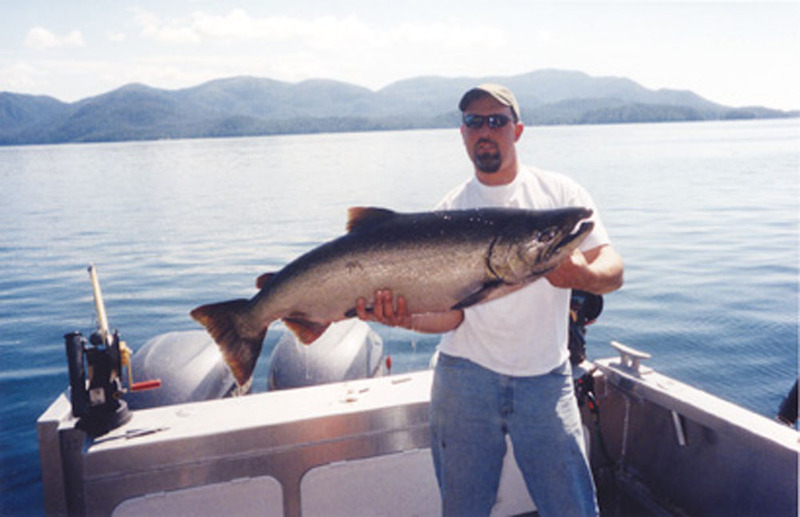 Packages Include: Lodging, a fully equipped boat with guides and premium gear, use of all-weather gear, cleaning, vacuum packing, freezing & boxing of your daily catch, three hearty meals a day, transportation between Ketchikan International Airport & Lodge, daily maid service. 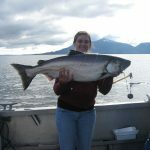 Not included: Local and State Bed and Sales Tax, gratuities, alcoholic beverages, footwear, personal items, Alaska Fishing License & King Salmon Stamp. 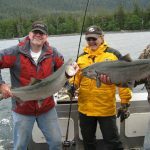 Cruise Ship Passengers: Our vessel is located less than 5 minutes from the ships dock and either boat or van pick-ups can be arranged. 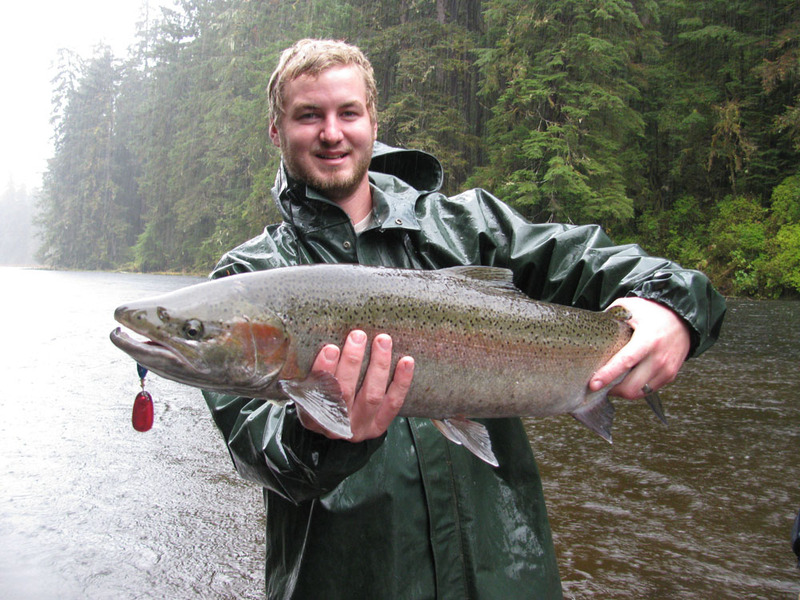 We offer a complete range of Freshwater Fishing for both the Fly fisherman and Spin fisherman. 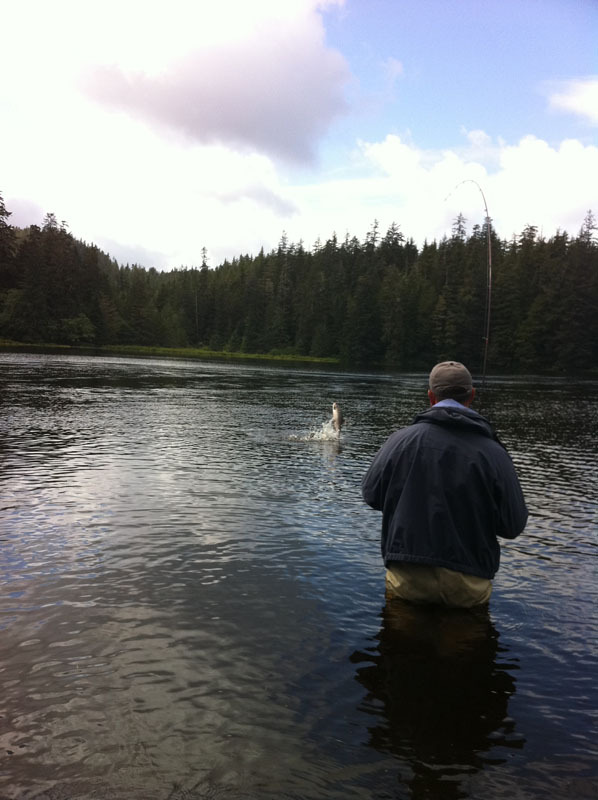 Trips take place as daily fly-outs to the vast numbers of pristine rivers and lakes surrounding Ketchikan. 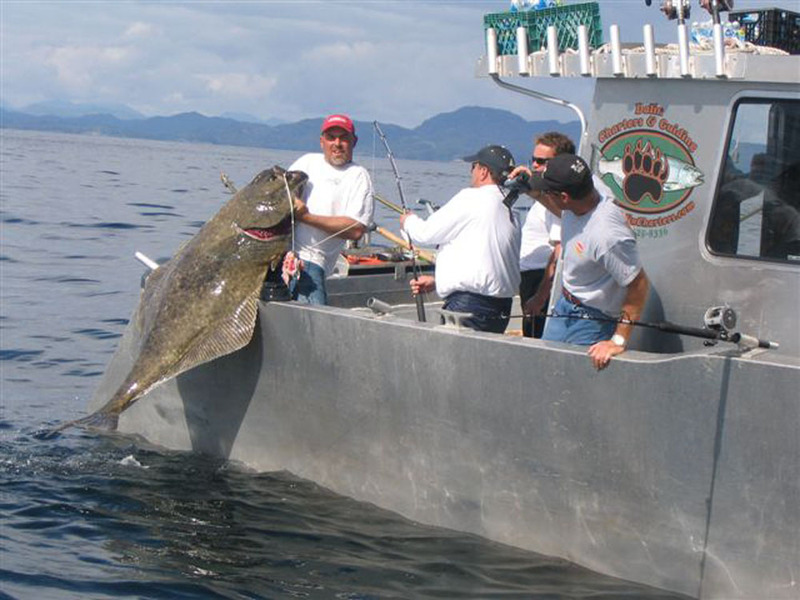 Depending on locations, weather, and river conditions, boats may also be used to access rivers from saltwater. 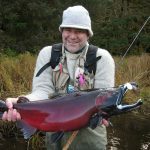 April and May offer some of the best spring Steelhead fishing in the state with Rainbow and Dolly Varden trout mixed in. 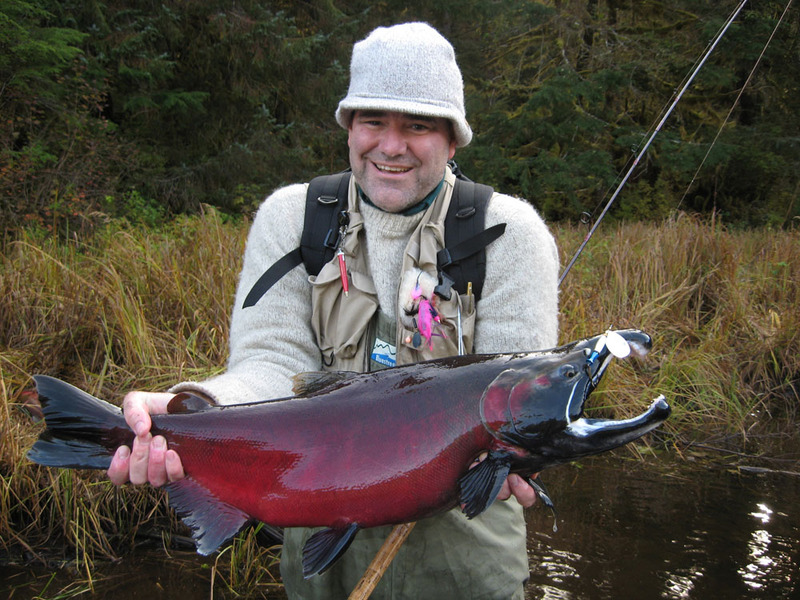 Steelhead in excess of 20 lbs is common in some of our local river systems. 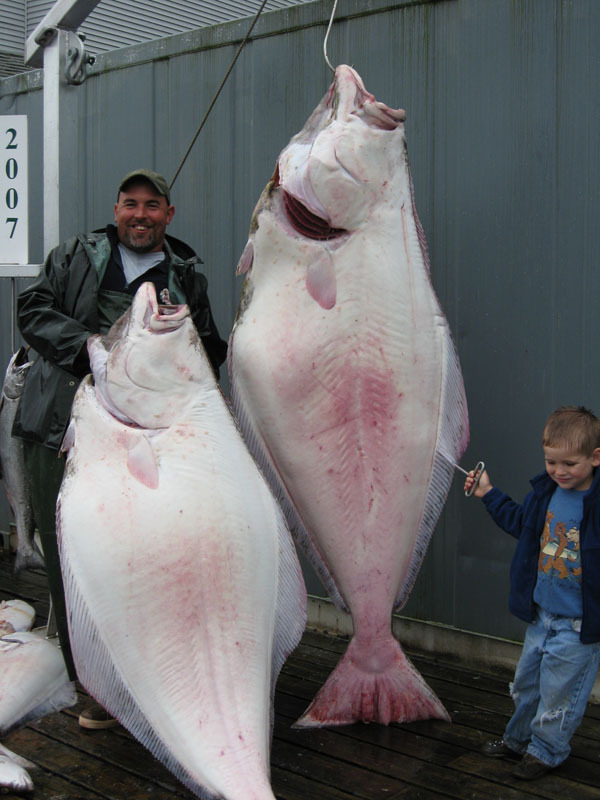 An average fish is 8-16 pounds. 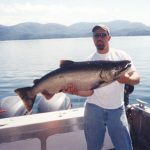 During the summer months, Grayling and Cutthroat trout are in abundance in the high mountain lakes. 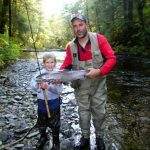 Mid-July through August all five species of Pacific Salmon enter local rivers in vast numbers as they head upstream to spawn. 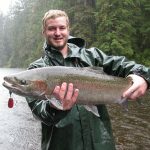 September through October finishes our summer fishing season with Silver Salmon in abundance as well as being the peak of the season for the Rainbow and Dolly Varden trout in the 1-5 lbs range feeding heavily on salmon eggs the fall Steelhead also show up at this time of the year which will make for an action packed freshwater fishing adventure. 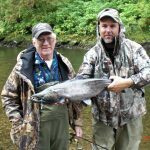 For the complete experience, freshwater fishing may be combined with saltwater fishing during the summer, as well as waterfowl or bear hunting during the fall season. 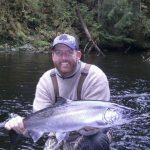 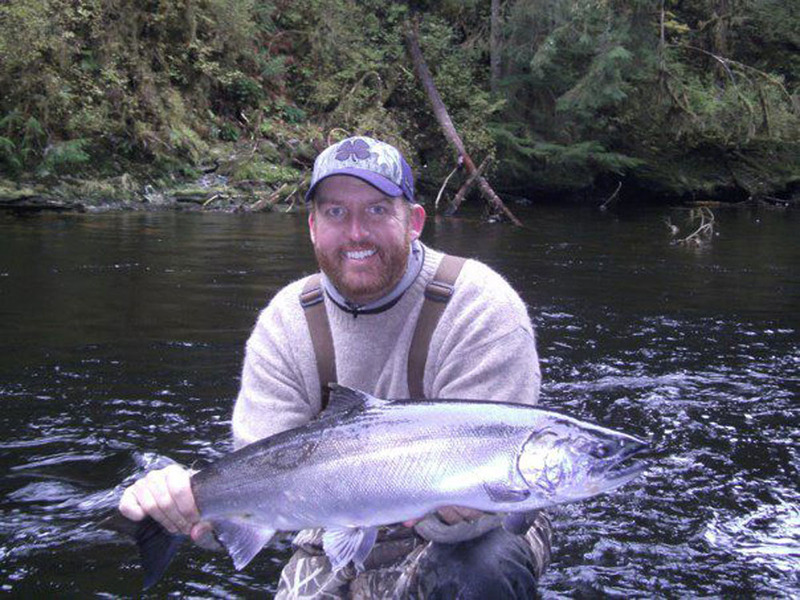 We offer packages for the spring Steelhead as well as the fall Salmon, Trout, and Steelhead. 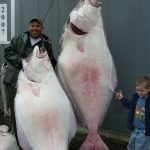 ***Based on 2 person min. 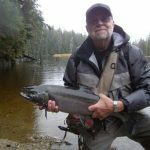 Includes: Lodging (2 bedroom B&B with full kitchen and bath), breakfast, light tackle (Spinning Gear), and airport transfers. 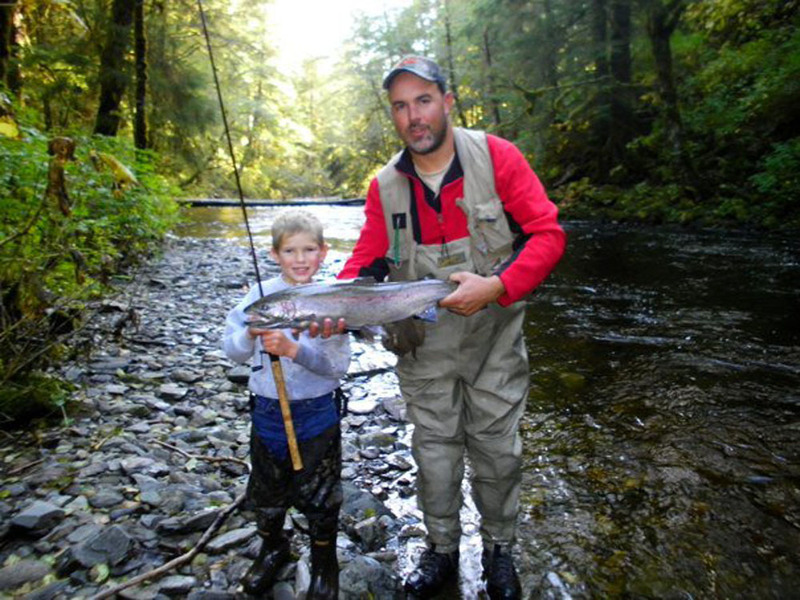 Not included: Fly rods & reels, wading gear, fishing licenses, daily floatplanes, applicable taxes. 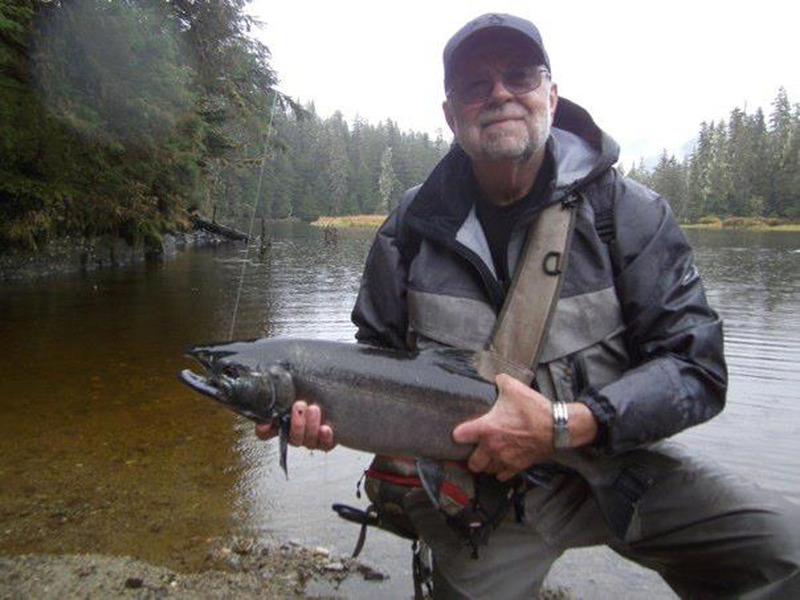 Daily Floatplane Prices: vary from $350 to $1,250 depending on group size and destination.